Prize Home Can Now Be Yours!!! Nominated as Bellaâ€™s prize home in the #hit105liveforfree competition. 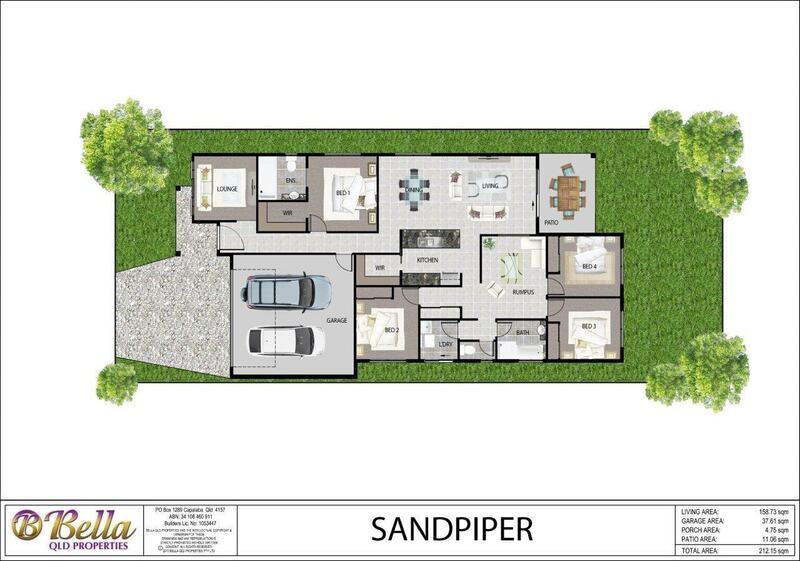 The Sandpiper design can now be built for you. Ideally Positioned with a Great Functional Aspect. 3 Living Areas, 4 Bedrooms, 2 Bathrooms, Double Garage. Your Choice of Inclusions, Colours & FaÃ§ade. Exceptional Build Quality and Stylish Finish. Various Warranties including 50yr Structural. Finance Assistance Available â€“ Deposit from $8K. Fixed Price Guarantee – Turnkey Finish. Variety of Kids Parks and Schools Nearby. Short Drive to Shopping Centres / Amenities. Multiple Transport Options in Place. Bella QLD Properties is a renowned Master Builder of 1000â€™s of homes throughout SE Qld. Our build quality assures you that this home is your forever home. * Terms & Conditions Apply. This Home has not been constructed and is subject to Land Availability. House price subject to site specific, soils test, contours, final site investigation and head office approval. Facade upgrades will incur additional cost. Any Bushfire or Acoustic Protection will incur additional cost. Should any changes occur to the First Home Owners Grant this will affect pricing.